By JB Dash: Now it is time to restore the historic Raibania fort, a relic of the Mahabharata era, in Balasore district. Once upon a time the castle was one of the strongest forts of Eastern India, but now is dilapidated and ruined. 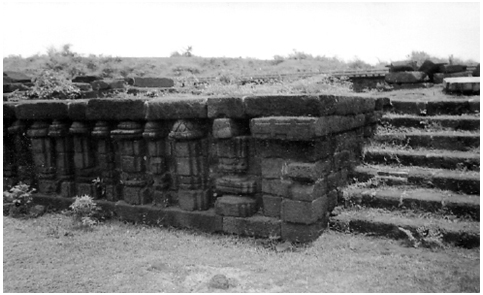 The Raibania fort is located at a distance of about 66 km from Baripada and 36 km from Balasore. The Amarda Air strip, one of the most significant aerodromes, made during the British rule in India, is the closest air destination to reach the fort. It is believed that the fort bears the testimony of King Viraat, described in the ancient epic Mahabharata, who had given shelter to the Pandavas during their hermitage in disguise. The fort is encircled with scores of ponds and tanks named Kaushalya, Jaljantra, Kundigadia, Bhuyanpokhari, Nandiaka, Digi etc. The Gadchandi road, which was built during tenure of MP Kharavela Swain with a MPLAD fund of Rs 16 lakh, leads one to this remote region. 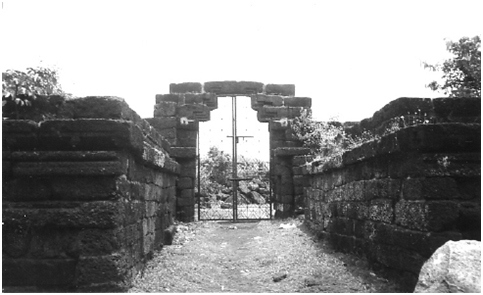 The Raibania fort was a part of the Mayurbhanj Gadjat state before its merger with the Government of India in 1949. As per reports, Rai Baliar Singh, was the last Zamindar from whom the government took possession. At present, the fort is completely ruined and only remnant of the boundary wall is left. The fort also has a bathing ghat with underground stairs. Natives of the area believe it to be the bathing zone of the queen and speculate that excavation of the fort can reveal many historically significant elements. 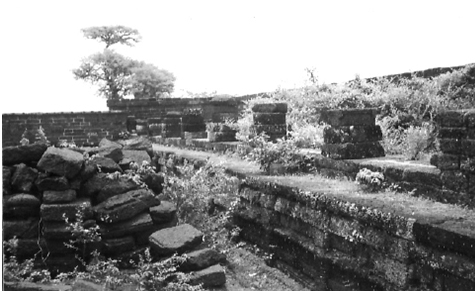 This fort was also reportedly one of the monuments that were attacked by Kala Pahada. President Ananta Ghosh and Block chairman Tapan Das, who informed that a fund of around Rs 1 Crore has been sanctioned by the department of culture for renovation of the fort. A temple dedicated to Lord Shiva has been made near the fort by the local people, where festivities takes place on Apr 14 each year, which is also a major festival of the area. Earlier attempts had been made to restore the fort, but in vain. Hence, it is high time now to move forward in this context. Well, It’s interesting that renovate some historic place. I didn’t think about it. However, if it goes like you said, I hope that it would be a great result. Thank you for sharing.